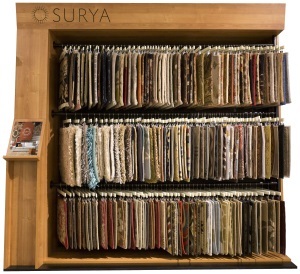 To place an order or inquire about pricing and promotions, please contact your Surya Sales Rep or call 1-877-275-7847. 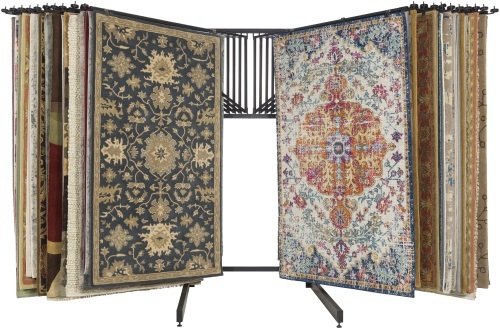 Details: This versatile display solution enables retailers to demonstrate a strong presence in the area rug business while allowing customers to see the entire product and easily evaluate style, color and texture while in the store. 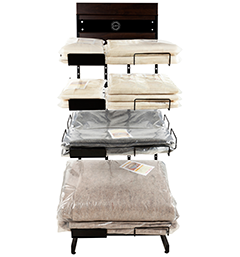 Details: This wheeled display is the ultimate in flexibility allowing you to take it to any location within the store where it may be needed. Once you arrive at your destination the wheels easily lock into place and then unlock to move again. Details: This visually engaging design encourages designers and customers to interact with the display. Details: The Design Center is comprised of three modular towers that can be organized by various attributes, including construction, trend or lifestyle. 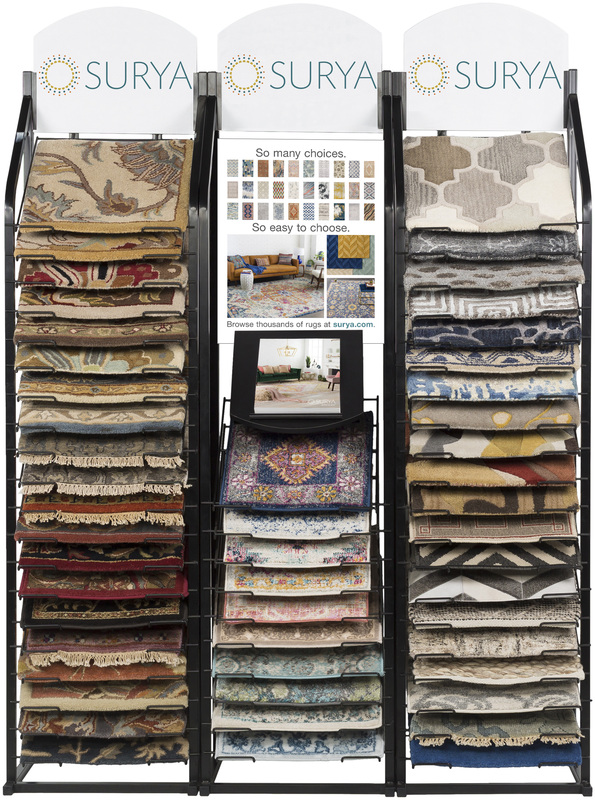 Details: As a versatile sales tool, the display rugs can be used as samples or sold to customers. 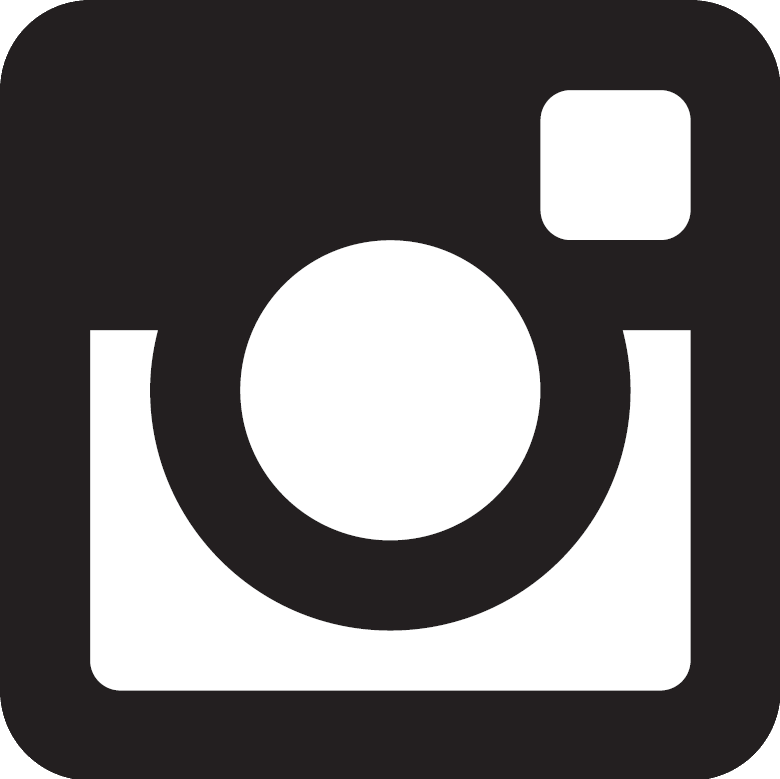 All Surya rugs are available in the 2' X 3' size. Details: Featuring a sleek, non–intrusive design, the novel display can be coordinated with a vignette to help drive overall accessory sales. 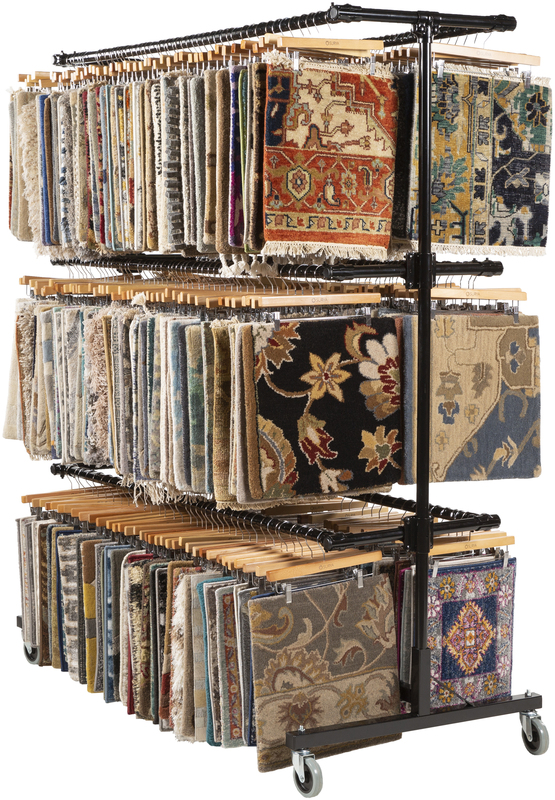 Holds pillows ranging in size from 18" X 18" to 22" X 22"
Details: Rug pads provide a durable, long lasting foundation for a rug. 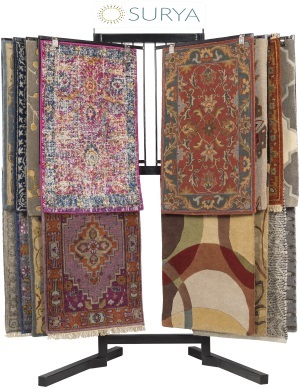 Not only do they bring comfort and cushion to the rug, but they also protect floors underneath and reduce movement, bunching and slippage.